Home / Articles tagged with "cheating"
Is ‘once a cheater, always a cheater’ backed by research? Survey data sheds light on the popular saying. A psychologist weighs in and explains why people cheat. Is the phrase ‘once a cheater, always a cheater’ supported by research? New survey data sheds light on the popular saying. A psychologist weighs in and explains why people cheat. 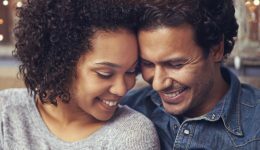 What would you and your partner need to consider before entering into a polyamorous relationship?